We’re surrounded by screens feeding us an endless stream of information—emails, reports, monthly statements, maps, even entire books. Money changes hands electronically without the need for cash, checks or even credit cards. So, do we even need the printed page? Aren’t pixels enough? Is printing dead? Not even close. Printing as we know it has merely expanded beyond ink on paper. It now includes a host of new technologies and concepts that can give shape to almost anything imaginable and bring new solutions to design, health and the environment. Ricoh is an innovator in the printing industry and utilizes new technology and concepts—on-demand printing, environmentally friendly printing, printed building materials, printing on food, and even bioprinting human tissue—to help achieve the U.N.’s Sustainable Development Goals. What role should printing fulfill in the future? Ricoh is working to answer this question by seamlessly integrating innovative printing techniques into everyday life—allowing for more personalization while lessening the detrimental impact of manufacturing processes. Its efforts to “ignite a revolution in manufacturing with printing technology” have focused on a few major areas which cutting-edge printing technology has the power to elevate the mundane and enrich everyday life, such as in the display printing of commercial goods and in applied printing, especially in the field of regenerative medicine. In the area of display printing, digital printing has made on-demand printing cost-effective at last. It is no longer prohibitively expensive to print in small batches with short lead times. Now companies can keep up with the rapidly changing trends and rotating inventory of fast fashion rather than relying on the outdated methods of mass producing garments with long lead times. This is equally true in the production of decor and building materials like wallpaper and flooring, where on-demand printing ensures that companies need only produce what they will actually use, reducing waste. Billions of tons of wastewater from the dyeing of clothing pollutes water and soil. Tons of wallpaper and flooring materials are discarded in landfills as trends change. On-demand printing, which enables manufacturers to make only what they need, requires digitization. But according to Ricoh’s research, the digitization rate is less than ten percent for production processes in the textiles and building markets. Promotion of on-demand printing will help control inventory and decrease the surplus inventory disposed of as waste. Ricoh’s development of special ink which eliminates the need for a cleaning process that yields wastewater also addresses the issue of pollution. 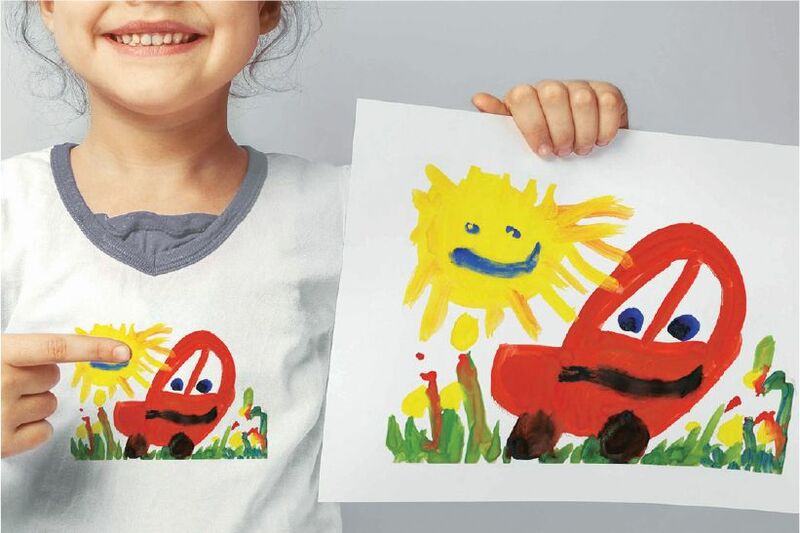 On-demand printing isn’t only good for the environment and the bottom line, it also encourages creativity. The threshold quantity for production and profit here is much smaller, encouraging the manufacture of one-of-a-kind designs at a reasonable cost. In applied-printing technology, there are also dramatic new applications in the use of 3D printing technologies, especially for items such as cell tissue, bones, and electronic components. Now 3D printing dramatically reduces the lead time and cost for these items. This is especially applicable to the field of biomedical engineering, where Ricoh is reimagining the future of regenerative medicine—making it a reality rather than science fiction. Imagine repairing a patient’s injury with fresh human tissue or replacing a damaged heart with a perfect replica—one that was printed using technology similar to an office inkjet printer. 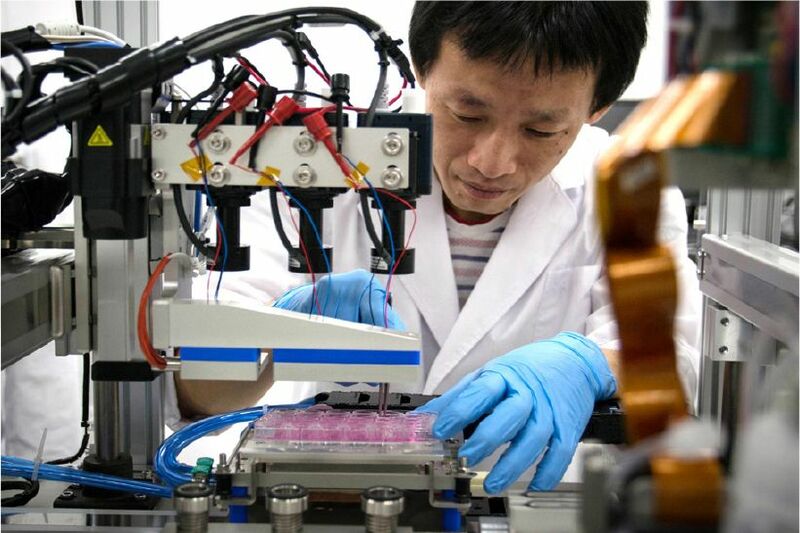 Ricoh sees its technology as contributing to the production of functional, transplantable 3D organs and it is dedicated to making this a reality. The technology already exists to bioprint layers of living human cells, and Ricoh has successfully collaborated with Osaka University in Japan to create 3D pulsating cardiac tissue. The core technology used in Ricoh’s inkjet printers is a high-precision droplet-by-droplet ejection system designed to output high-resolution images. By applying this technology to cells, it might be possible to develop a 3D bioprinter to output functional tissue, like building a house by stacking bricks. “I am confident that the inkjet printer technology developed by Ricoh will contribute to the high-precision assembly of cells into genuinely functional tissue,” says Manabu Seo of the Ricoh Institute of Future Technology. Printing living tissue is not without significant challenges. Ricoh needed to modify the nozzle of the common inkjet printer to provide special conditions allowing cells to be printed like ink and in layers. In addition, the inkjet heads needed to eject the cells without using heat or other potentially damaging methods, and the cells had to be positioned into layers. 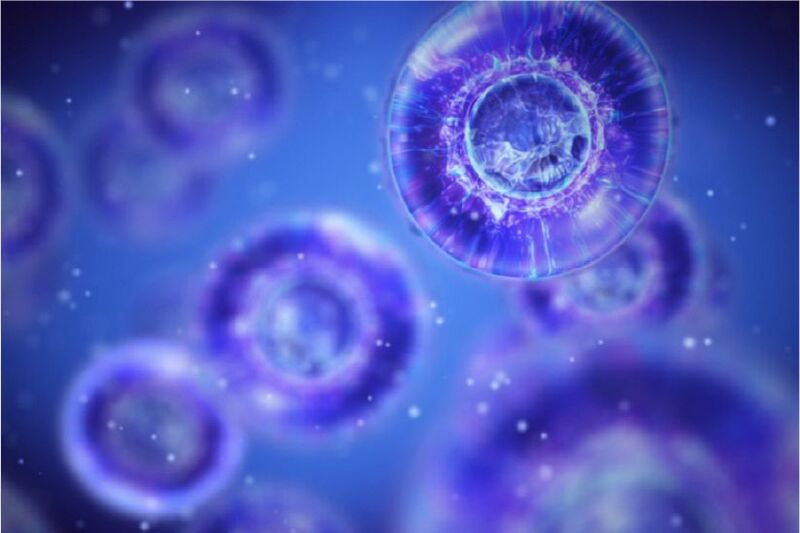 Nevertheless, Ricoh was able to develop and combine these central technologies into working cells, and it is now working on improving the precision of the cell-dispensing mechanism so that fully functional organs can one day become a reality. Ricoh is empowering digital workplaces by inspiring the creative class and bringing value to them with new ways of printing.